This series is to help navigate those ups and downs in every relationship. Each week of the series, the teaching can be based around those key biblical principles. 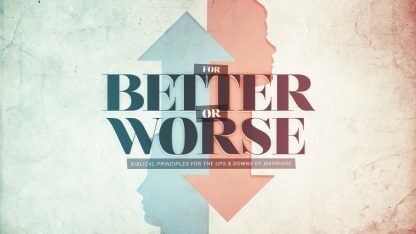 Handing confrontation, the right way to love, what it means to serve your spouse, and many more.